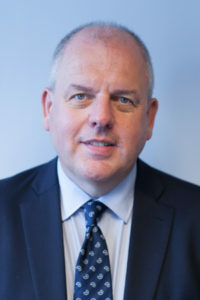 Mike Cunningham QPM, a former Chief Constable with extensive experience across policing, has been announced as the new Chief Executive Officer of the College of Policing. College of Policing Interim Chair, Millie Banerjee, said, “I am very pleased to announce that Mike Cunningham has been appointed as the new Chief Executive Officer for the College of Policing. Mike brings a wealth of experience to this key role and during the assessment process he impressed the panel with his vision for the college in this next stage of development. Mike Cunningham said, “I am delighted to be joining the College of Policing as its Chief Executive Officer. Over the last few years the college has established itself at the heart of the reform agenda for policing. In this next stage, the challenge is to move that on so that all those working across policing have a clear understanding of how the college connects and supports them to deliver a service to the public. Mike Cunningham joined Lancashire Constabulary in 1987 and worked in a number of operational roles before becoming a Divisional Commander in Blackpool in 2002. He attended the Strategic Command Course in 2005 and was appointed Assistant Chief Constable in Lancashire Constabulary in 2005 and Deputy Chief Constable in 2007. In 2009, Mike was appointed Chief Constable of Staffordshire Police. In 2013, he was awarded a Queen’s Police Medal in the New Year’s Honours list and has been awarded an Honorary Doctorate from Staffordshire University. Nationally, he was chair of the ACPO Counter Corruption Advisory Group, a lead for Professional Standards, and lead of the National Policing Workforce Development Business Area. During his service with Lancashire Constabulary, Mike was known for his commitment to diversity and took on the role of national policing lead for Lesbian, Gay, Bisexual and Transgender (LGBT) issues. More recently, Mike was HM Inspector of Constabulary and HM Inspector of Fire and Rescue Services, where he has been in post since September 2014. Reacting to the news, the Home Secretary and leaders from across policing welcomed the announcement. Home Secretary Amber Rudd said, “Mike Cunningham brings many years of distinguished policing service as a former Chief Constable and as an Inspector of Constabulary, and I am delighted he will be the College of Policing’s new Chief Executive. At a time when we know the nature of crime is changing, the college plays a vital role in developing policing as a profession, improving skills, and raising standards so that officers and staff at all levels are ready for the future.